It started, like most great ideas, with two friends chatting over greasy food and Bloody Marys on a lazy Sunday. One friend– Jill Wagner, a journalist in her late 20s. The other– Josh Shames, a nightclub owner in HIS late 20s (although his liver would say differently). So we put together an email. Jill wrote about important news stories, and Josh added movie quotes and Seinfeld references. We sent it to some friends and family using our personal Gmail account. Our family and friends loved it, and we realized WE loved writing it. Need 2 Know was born. We’ve come a long way since then. Our team has grown and so has the reach. More important though, is what’s still the same. Need 2 Know is – and always will be – a labor of love. We consider everyone who reads it a member of the N2K family (albeit, the dysfunctional N2K family). Jill Wagner is the co-founder and Editor-in-Chief of Need 2 Know. 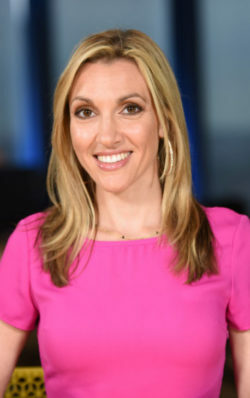 She’s also an anchor at Cheddar, a live and on demand video news network focusing on business and tech news. Previously, Jill was a correspondent at CBS News, where she covered top business stories and market reactions. Before CBS, Jill worked at News 12 Long Island as a political and general assignment reporter. There, she was awarded two Emmy Awards and was honored with the Edward R. Murrow Award for a series in which she traveled to the Auschwitz concentration camp in Poland with students, Holocaust survivors, and World War II veteran who liberated the concentration camps. Jill graduated from the University of Michigan, and earned a Master’s Degree at Columbia University Graduate School. 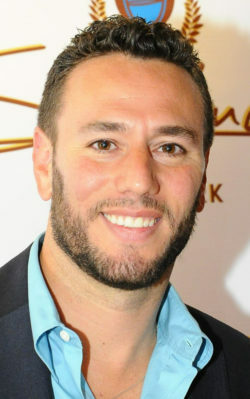 Josh Shames is the co-founder of the Need 2 Know. Josh is a serial entrepreneur and news junkie. Josh began his professional career working in the hospitality industry throwing large scale public and corporate events at hotels in NYC, Las Vegas, Miami and Atlantic City. Josh’s vast network of young professionals led him to start his own digital marketing company Insight Media Group. back in 2009. Aside from working on Need 2 Know Josh also works at fashion footwear company, Steve Madden in the international business development division.